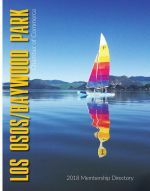 Discover five charming gardens in Los Osos, Morro Bay and Cayucos. Sponsored by Morro Bay AAUW. Tickets available at Farm Supply (SLO, AG, PR), Coalesce Books (MB) and Volumes of Pleasure (LO). Ticket price: $15. Benefits Community Educational Projects.